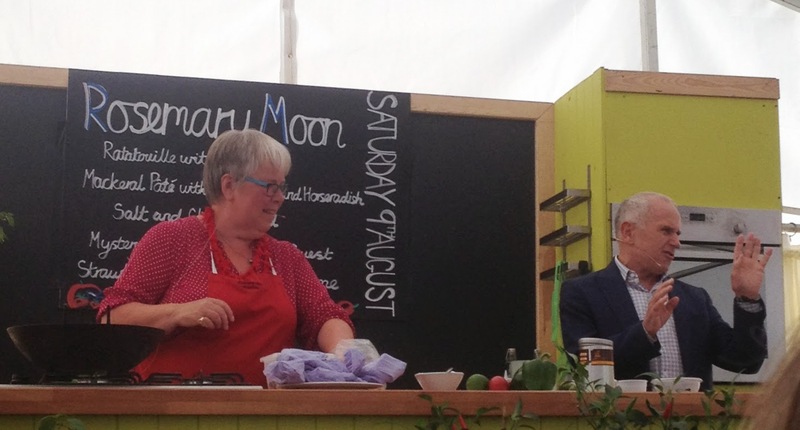 I did not know what to expect from the Chilli Fiesta, but it surpassed my expectations, not only were there many stalls selling a variety of sauces and marinades, but also a fun fair, live music, Salsa dancing and the Jive Aces! 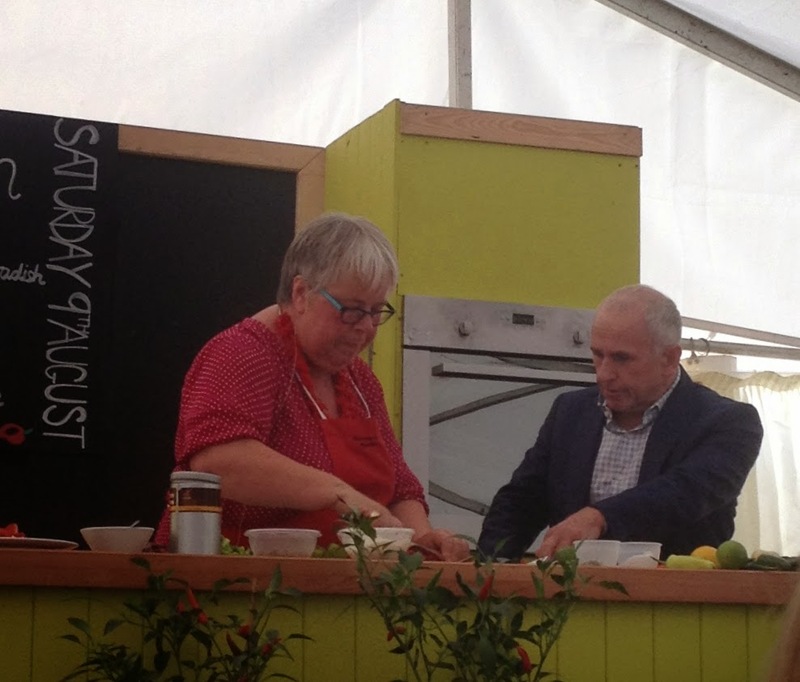 You will know I am a great fan of Rosemary Moon, she is a stalwart of West Dean College, running a variety of cookery courses, but I was delighted to discover that she had an assistant in the form of Wayne Sleep! cooked some lovely chillies, a curry and chilli Strawberries. It was great entertainment, I can’t wait to see Rosemary again at our Felpham Belles group next month. 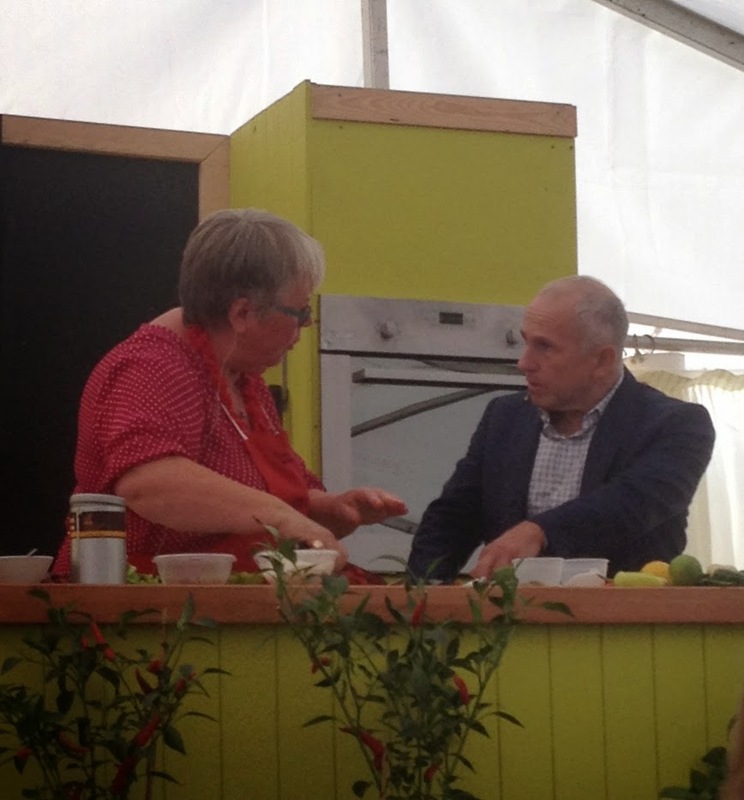 The chilli Fiesta is held every year, including camping areas and live bands it is quite an event! More information about West Dean can be found here.